Jacobsbaai is an extremely small but idyllic little settlement up the West Coast of South Africa. Unlike its neighbours, Paternoster and Saldanha, Jacobsbaai was never a fishing village. This may come as a surprise given that almost all other towns on this coastline were (and many still are), reliant on fishing for their daily bread. Instead the town was masterminded by a local farmer who fancied himself a property developer. His intuitions were logical given the beauty of the area and its secluded nature, but luckily it's taken a while to catch on, and Jacobsbaai is still a quiet, largely undeveloped place. The area which constitutes Jacobsbaai is actually 7 smaller bays which come together is a jagged coastline, cupped under the umbrella of Jacobsbaai. Although the bays are close neighbours, the activities offered by each one are different. Toothrock and Bamboesbaai for example are renowned among fisherman and divers, and is also the best spot for catching crayfish. Smalbaai and Mauritzbaai attract birders for their populations of oystercatchers, cormorants and terns, and Kwaaibaai is where the surfers head to catch some waves. Hospital Bay, so named because in the 1800's ships would leave their ill passengers and crew at the bay for quarantine purposes, is a sandy beach and offers the best bet for those keen on sunbathing and swimming. Non-specific to any single bay is the sport of kayaking. There are also nice walks in the area, a well-known one being the 17 kilometre traverse between Swartrietbaai and Titiesbaai. In spring the area is especially lovely as the area is carpeted in spring flowers right up to the coast. The quiet peaceful way of life attracts many artists, potters and writers who have made Jacobsbaai home. The scenery, the nature of its population and the limited amenities ensure that you too are likely to get wrapped up in the slow pace of life in this beautiful corner of the world, and you'll undoubtedly find it hard to leave. A quick look at our website will give you the information you need to make your choice. 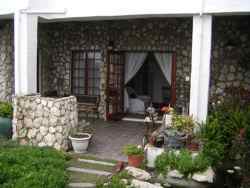 You will find reviews and you will also be able to compare prices and find wonderfully affordable accommodation in Jacobsbaai. Are you planning the perfect getaway but have not yet found your ideal Jacobsbaai accommodation? By using our easy website, you can find great accommodation of all types, whether it is a cosy bed and breakfast or a comfortable lodge. We have thousands of easy to find listings for self-catering facilities, holiday homes, guest houses and hotels as well as backpackers, chalets, caravan facilities, villas and apartments, giving you a wide variety of options when it comes to your accommodation in Jacobsbaai. To help you find the right place to stay, we have a number of tools that you can use, including a map. This will help you to pin point exactly where you will be staying and it will show you the accommodation facilities that are closest to where you will be. Regardless of the reason for your visit to Jacobsbaai, we can guarantee that you will find the type of accommodation you are looking for. But reviews for Jacobsbaai accommodation is not the only information you will find. Want to know if your Jacobsbaai accommodation is pet-friendly or allows smoking? All of that information is included on the listings page. You will also be able to find which activities are on offer and the sort of amenities included with each room. All of this information will help you to make an informed decision before you make any payments to, giving you more peace of mind about your choice. 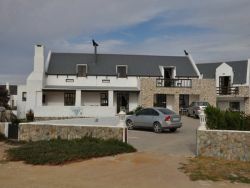 We include all of the contact details of the self-catering accommodation, holiday homes, guest houses and hotels as well as backpackers, chalets, caravan facilities, villas and apartments in Jacobsbaai which are featured on this website, so you also have the option of getting directly in touch with the place. 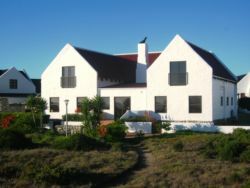 Regardless of where you are staying, we feature Jacobsbaai accommodation in that area of the province. You have options of Jacobsbaai guest houses, lodges and bed and breakfasts, among others, ranging from your more affordable, lower prices to your more luxurious options. So, you are not visiting for a holiday but rather for business and all you need is a place to stay for a night or two? The bed and breakfast options, as well as the lodges, are generally preferred by business people and you will find all types, from your more luxurious lodges to your simple, self-catering bed and breakfast. Each will give you a safe roof over your head while you are in the province. 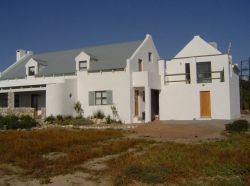 Jacobsbaai accommodation is not only affordable but well situated. If you are doing business in this area, this is a great accommodation choice. Spending more than a few days in the province? Perhaps you are indulging in a tour of the region and you are looking for a few places to stay? Browsing through our listed self-catering accommodation, holiday homes, guest houses and hotels as well as backpackers, chalets, caravan facilities, villas and apartments in Jacobsbaai will give you all of the information you need to make your selection. And once you have found the ideal place to stay, you can either request a quote or make your booking directly on this website. Sleeping-OUT.co.za is designed to make finding and booking accommodation in Jacobsbaai easier than your traditional methods of sourcing a place to stay! 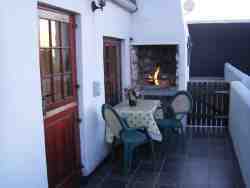 We include some great accommodation special deals in and around Jacobsbaai.